For companies that have used the H-2B nonimmigrant visa program (the “H-2B Program”) over the last several years, it is understood that the demand for H-2B visas has skyrocketed. This unprecedented level of growth in demand resulted in the imposition of a lottery system for awarding visas for the second half of the 2018 fiscal year as well as 15,000 extra H-2B nonimmigrant visas being made available for the second year in a row. All signs point toward continued interest in the H-2B Program for the 2019 fiscal year. Employers interested in using the H-2B Program for the second half of the 2019 fiscal year should begin working through the necessary application steps within the next couple of months. As many employers know, the H-2B Program process starts with a filing with the U.S. Department of Labor (the “DOL”). This past year, the DOL received applications requesting close to 100,000 H-2B visas on January 1, 2018 (the first possible day of filing for the second half of the fiscal year). This massive amount of applications resulted in DOL delays, a scramble to get second round application materials back to the DOL, a DOL decision to mandate a “standard” labor certification release date, and ultimately, a lottery system for awarding H-2B visas at the U.S. Citizenship and Immigration Services (“USCIS”). Because the 33,000 H-2B visas reserved for the second half of the fiscal year were hardly enough to satisfy the demand for such visas, Congress again authorized the directors of the DOL and the U.S. Department of Homeland Security (“DHS”) to consider the issuance additional visas. As noted above, this resulted in the DOL and DHS deciding to release 15,000 “extra” H-2B visas for the 2018 fiscal year just as there had been in the 2017 fiscal year. In light of this circus of a situation over the past two years, legislators are already working on potential adjustments / solutions for the coming fiscal year. Although there is no certainty on direction as of yet (given the preliminary nature of the proposed legislation), proposals include exempting workers counted under the H-2B cap within a certain number of years from being again subject to the cap, apportioning lottery selection based on a percentage of requested workers as opposed to an “all or nothing” system, and permanently increasing the amount of H-2B visas available. Again, this is something that will need to be monitored over the ensuing months to see what, if any, changes to the H-2B Program are ultimately implemented. The successful implementation of any of the changes currently being proposed would likely be well-received by the employers invested in use of the H-2B Program. In addition to potential legislative changes, the DOL and USCIS are both adjusting their agency-level adjudication procedures to account for the growth in demand with the intention of leveling the field for applicants. These changes are largely procedural – such as clarifying the order in which the DOL reviews submitted applications – but do provide a welcome glimpse of the “behind the scenes” agency processes. Again, as we expect the demand for H-2B visas to remain strong, employers desiring an April 1, 2019 start date are encouraged to start the process now, but no later than the end of September 2018. 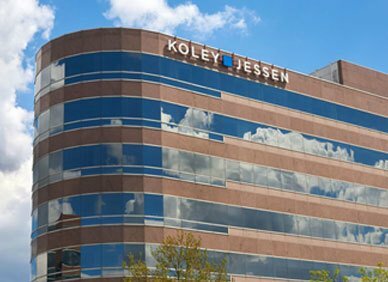 If you have questions about applying for H-2B workers, H-2B program compliance and document retention requirements, or other general questions about employment-based immigration, please contact one of the immigration specialists in Koley Jessen’s Employment, Labor and Benefits Practice Group.